We are identified as one of the leading names in the market engaged in providing a wide range of Fabricated Storage Tank to the clients. Also, we are offering these products at very affordable rates. - Indigenously manufactured with advanced MOSFET technology. - Digital Tuning of Transducer to avoid Frequency Shifting. - Compact, rugged and highly durable systems. These tanks are fabricated from solid HDPE & PP shell of required diameter &thickness as per capacity of tanks & chemicals to be stored. They have flat or conical bottom & open, flat or conical top. 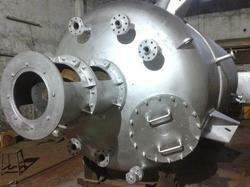 They have accessories like ladder, level gauge etc.Spiral Or Fabricated Tanks SFT01. We are counted among the well-reputed entity for offering Fabricated Tank to our esteemed consumers. Moreover, we offer this product at nominal costs. 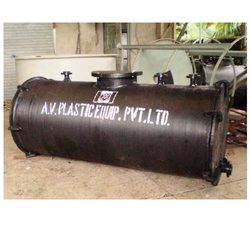 We are manufacturer, Designer & Supplier of HDPE & PP Heavy Duty Fabricated Tank.